You are here: Home › Employment › Do I Have to Pay Taxes on Side Income? 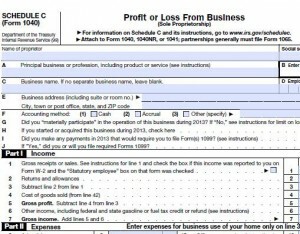 Do I Have to Pay Taxes on Side Income? 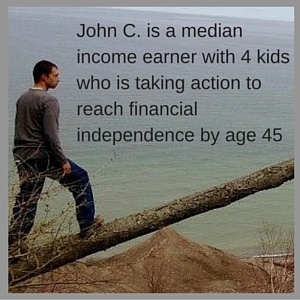 I come across many people who make money in ways other than a job with a paycheck. The subject often comes up whether on not they should pay taxes on side income. 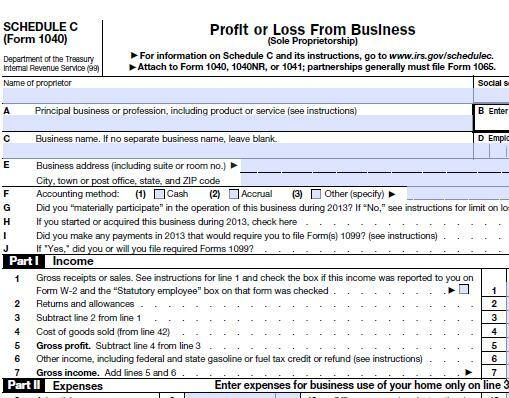 The IRS states you must file a 1040 if ANY self employment tax is owed, and since they start charging it at the first dollar, then ALL self employment income should be reported, but how will they know? I’m all about being honest in life, so I always suggest to report any self employment income. There are several other benefits that are often overlooked to paying taxes on side income. Social Security Credits: I touched on this in my article 7 Steps To Optimize Social Security Benefits. Earning social security credits is important for retirement, disability, and survivor benefits. Having a few thousand dollars more in earnings on your record makes a big difference, especially for a stay at home parent or a teenager who doesn’t have any other earnings. A worker can earn up to 4 social security credits per year, each credit is gained by earning $1,200, with a max of 4 per year. So as long as a worker earns $4,800 a year, he has maximized his social security credits for the year. The maximum credits anyone can need is 40 credits for adults of all ages to be considered fully insured by Social Security. As a self employed person you are paying both the employer and employee side of this tax, so the total is 15%. IRA Eligibility: In order to contribute to a traditional IRA or a Roth IRA you must have earned income that is at least equal to your contribution. (contributions can not exceed $5,500 per year for people under 50). Granted, married stay at home parents are eligible to contribute to an IRA based on spousal earnings, but un-married stay at home parents need to have their own earnings records. Higher income makes it easier to qualify for loans: If you have proven long term income from your business it can be used by a bank or credit union as income for a loan. Ability to set up Solo 401K: The Solo 401(K) is an amazing tool. It is relatively easy to set up and allows a self employed individual to contribute up to $17,500 to the account, just like a normal 401(K), and allows the company to contribute up to 25% of net, or a combined employee/employer contribution not to exceed $52,000 a year. Check out this excellent article by Joe at Retireby40: My Experience with Vanguard’s Individual 401K. Joe has set one up and is much more knowledgeable about the account than I am. Missing out on tax credits: I worked with a mother last tax season who hadn’t worked much in 2013. I didn’t see any Schedule C income reported on her taxes and she said that it was too little to bother with. I asked her to go back through and figure out how much she earned cutting hair on the side, when she did the few thousand dollars more of income substantially increased her Earned Income Credit and Child Tax credits, even after paying the 15% Self Employment tax. Had she not claimed this money she would have gotten a much smaller tax refund. Keeps you legit: Sure, the IRS MIGHT not find out you had income from being self employed, but do you really want those guys coming after you? And besides, I think we all want to do the right thing, and the right thing is to claim your income. Increase tax bracket: Earning more money can push you into a higher tax bracket. For people already in a high tax bracket, this could be a bad situation. I recommend trying to maximize all available sources of tax deferment possible to drop into a lower bracket. Solo 401K, HSA, and IRA contributions are the first that come to mind. For people who have a normal job, it may make sense to contribute a disproportional amount of side income into retirement accounts. Reduce Obamacare subsidy on health care exchanges: Obamacare subsidies are based on your income, so having a higher income will decrease the subside provided through the health care exchanges. The subsidies are not entirely linear, check out my Obamacare Spreadsheet to estimate your costs. 1) Make some side income! Encourage your teenage children to make some side income too! 2) Do some basic accounting and keep track of your actual business expenses. On Schedule C you will report your gross sales, your expenses, and your net. You are taxed on your net. 3) Know your margins throughout the year and set aside at least 15% of your net income to pay for self employment tax. If you project that you will owe federal income tax you need to make estimated quarterly payments. Actually do the math. I have a friend who didn’t run the numbers and gave them a “ballpark guess”, He ended up giving the IRS $3,000 he didn’t have to. 4) Become Familiar with the schedule C and practice filing it out. I would encourage you to have a spreadsheet with a running total that represents the schedule C, to avoid any surprises at tax time. 5) Either do your taxes on paper or know how much online tax services charge for a schedule C. I found last tax season that TurboTax cost about twice as much as H+R Block for filing a schedule C, at least in my situation. What experiences have you had with paying taxes on side income? 8 Responses to "Do I Have to Pay Taxes on Side Income?" In short, of course you do. But the reality is that no one really ever reports the side income gigs on their tax returns. Do you report money you find on the streets? I’m aware that many people, (I’m sure it isn’t all, and I’d like to think it isn’t the majority) don’t report their side income. I have had many people ask about whether they have to report it if they make under $X (I’ve heard $600, $3,000 and $6,200). My point was that even if they won’t know that you didn’t report it, in many instances it may be beneficial to report this income. I always knew I had to pay taxes on all income, but it was a bit of a shocker when I actually filed my taxes and had to part with a big chunk of the income that I had been earning. Now I just put the money aside each month for tax time. It makes the sticker shock less .. shocking. That’s the best way to go, even if you end up with no federal tax liability, the Self Employment tax is always owed. If you’re paying taxes, it means you’re making money and that’s a good thing. Definitely stay on top of tracking your income and expenses monthly so you’re not scrambling at the last minute to gather a year’s worth of information. Depending on the size and type of the side hustle, it may be worth it to open a separate banking account. Good idea on the separate bank account, When I had a job as an independent contractor and got a 1099 I didn’t do that, but probably should have. Having a separate account certainly helps to know for sure how much you are actually netting after expenses. While I certainly agree that many times TurboTax is a slightly more expensive option, you simply cannot beat its simplicity. Each year, I do around 15 C Corp tax returns and they take around an hour a piece using TT. If I had to do them by hand, it would take twice as long; if not longer! There is certainly a value in their service! I did find turbotax to be a LOT less hassle than doing things on paper as well.